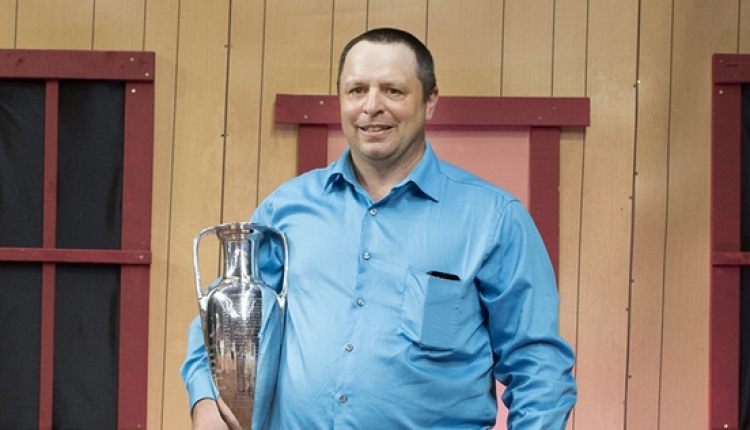 Roger Riebe of Cumberland, Wisconsin, was named the 75th winner of the Klussendorf Trophy, the highest recognition given to a dairy cattle showman in the United States. 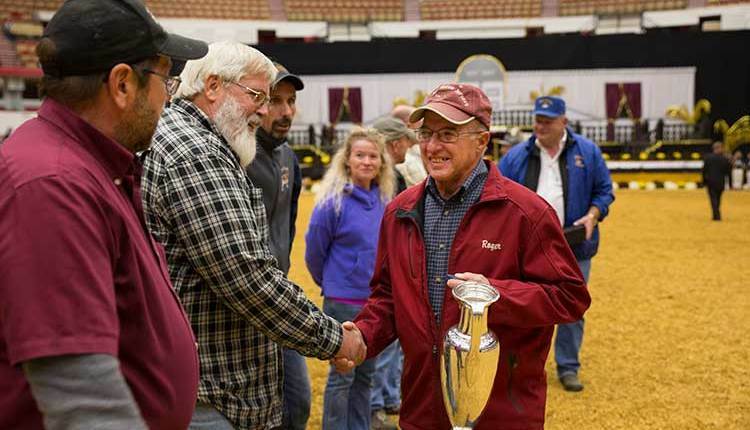 The award is in memory of Arthur B. Klussendorf, considered the outstanding showman of his time and a model for all those who have followed him. 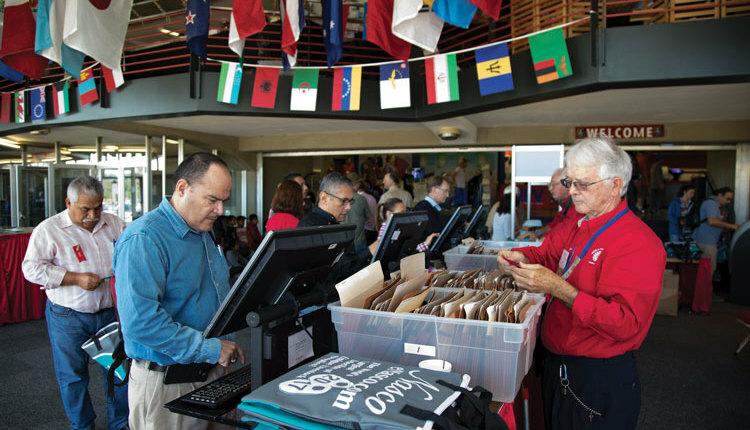 Riebe’s selection was made by members of the Klussendorf Memorial Association, formed in 1937, at its annual meeting held earlier this week in Madison, Wis. He received the silver trophy designed by Tiffany Jewelers of New York City. “To compete at the highest level in the show game, you must be a deep pocket, outside funded organization with highly paid professional fitters. 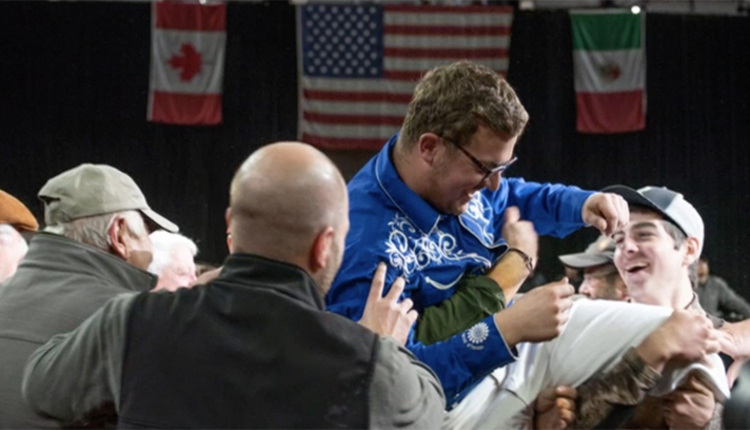 And to do this on a consistent basis the show herd must bolster by buying cattle each year . . .Well that memo never arrived on the desk of this year’s Klussendorf winner. With strains of Frank Sinatra’s “My Way” playing in the background, Roger Riebe has not only competed with the “Big Boys”, he has gone about his business and accomplished some amazing stats which would be the envy of any farm that loads up the trailer heading to Madison, Wisconsin, and Louisville, Kentucky. 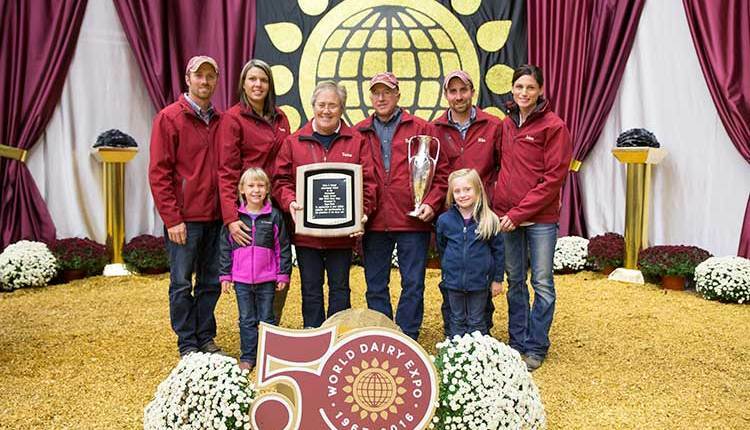 Riebe has had tremendous success at World Dairy Expo, winning the Premier Breeder banner four times at the International Jersey Show. In both 2014 and in 2016, Riebe won both Premier Breeder and Exhibitor banners in that heifer show. 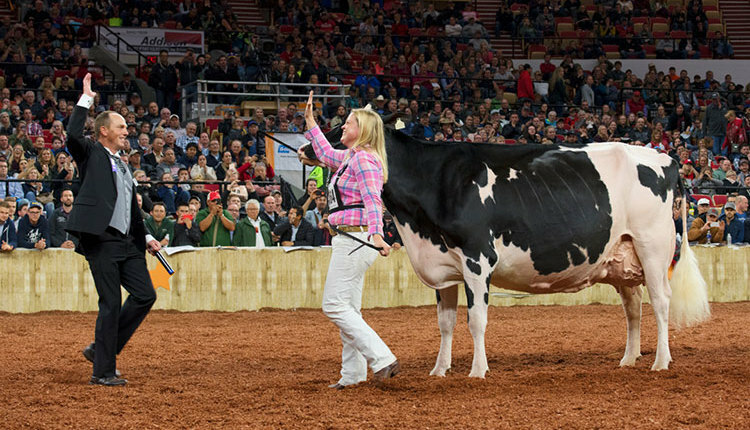 At this year’s 50th World Dairy Expo, the 75th Klussendorf winner also had a homebred heifer that was named Junior Champion Female. 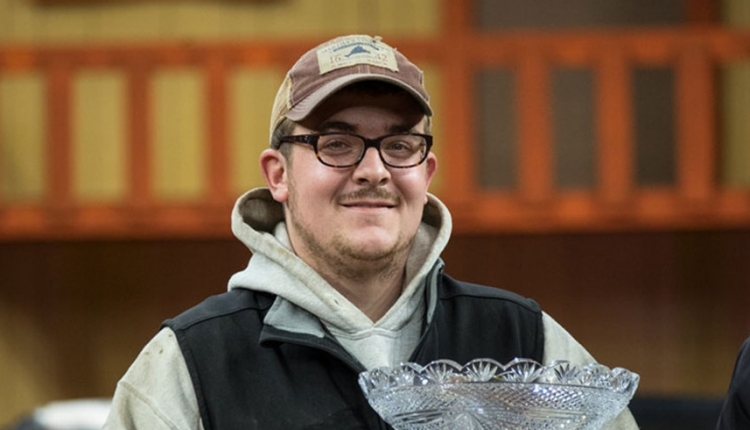 The success is also evident at the Minnesota State Fair, as his Meadow Ridge herd earned Premier Breeder 12 of the last 13 years. 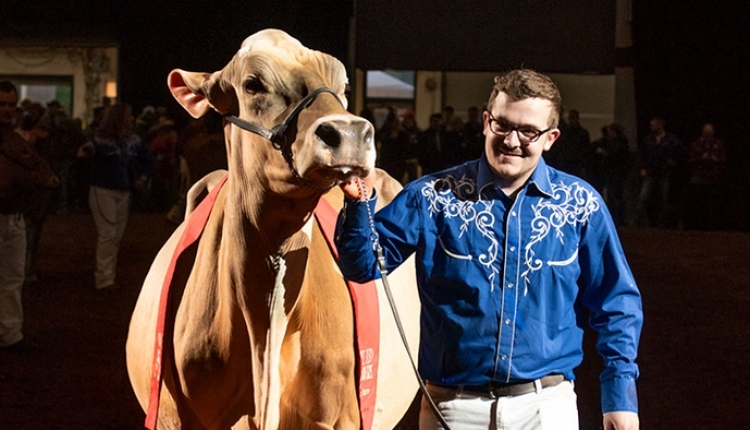 At last year’s All American Jersey Show in Louisville, Ky., Riebe doubled the amount of blue ribbons of the next closest exhibitor and his Senior Two Year Old was the talk of the barn, winning her class and being named Reserve Intermediate Champion and Champion Bred and Owned Cow. The farm went on to win both Junior and Senior Best three females and was named Reserve Premier Breeder of the Show. Keeping with Klussendorf selection criteria of character, sportsmanship, ability, and endeavor . . . no outside help is used in preparing the Meadow Ridge farm’s cattle. All foot trimming, clipping, fitting, and showing is done by the family, which stays in the barn with their cattle. Roger Riebe would certainly would give credit to his entire family for today’s honor. That includes wife Darice; Roger’s brother Doug; sons Mike and Mark and their spouses; and daughter Tamala. 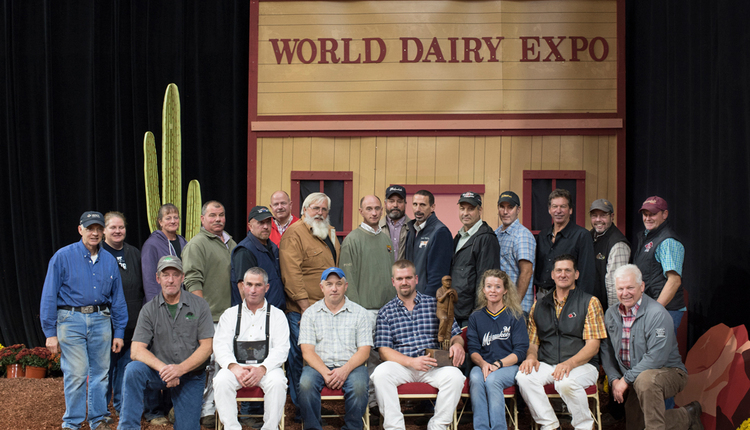 WDE, recognized as the meeting place for the global dairy industry, attracts more than 70,000 attendees from more than 90 countries each year. The author is the managing editor, and he brings 19 years of industry leadership to our readers overseeing all editorial content and production of the magazine. His degree from the University of Wisconsin-Madison combined dairy science and agricultural economics.